Went to an izakaya for the first time. 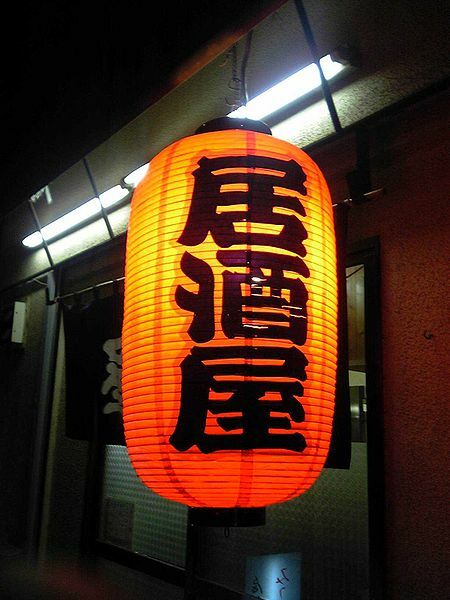 An izakaya is a Japanese style pub. Not a lot of loud music, great drinks and food. It is located conveniently close to Hello House. I will be returning when I get paid. When I was getting ready to post this again I was wondering why I had put so little detail originally. Surely my first trip to an izakaya would warrant more detail or a better blog entry. Then I remembered the reason why I didn’t provide more detail – Yumi. Yumi was one of the people I met online in Japan looking for a language partner. She lived in Tokyo, reasonably close to Noborito and was looking to practice her English. We exchanged some emails and found that we both liked beer. Since I had never been to an izakaya before, Yumi met me one evening at Noborito station and we went to a nearby izakaya located along the Tama river. Yumi and I had a fun evening of drinks and conversation, learning about each other and drinking culture in each country. After a few hours I walked her back to the station and said goodnight, promising that we would stay in touch and hang out again. At the time of the post, I was only one month into my year in Japan. Before I left Canada, The Ex and I had many long, difficult discussions about the state of our relationship and how things would work when I was away for a year. We ended up deciding to take a break on the relationship and re-evaluate when I returned to Canada. We had an understanding that seeing other people was okay, but neither one of us really wanted to think about it. I decided that blogging about going out for drinks with a nice young lady that I had met online was probably not the best idea at the time. Since it is now 10 years later and I am now happily married (not to Yumi or The Ex), there is no harm in blogging about this now. This entry was posted on October 27, 2013, 9:00 am and is filed under Drinking, Life in Japan, The Ex. You can follow any responses to this entry through RSS 2.0. You can leave a response, or trackback from your own site.